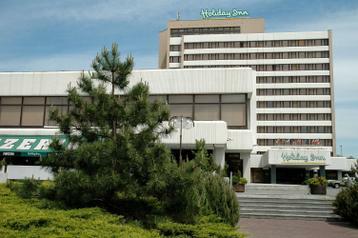 Bratislava, hotel in the wider centre of capital city. In the hotel / complex there is: 3x restaurant, pizzeria, lobby bar, meeting rooms, conference rooms, wellness centre (pool, sauna with pool - Finnish sauna, steam sauna, relaxation room for 5 persons, solarium, gym, massage, lymphatic drainage, beauty salon, bar, summer terrace), hair dresser, tennis courts, dry-cleaner, ironing, exchange office. 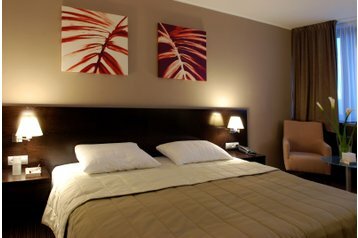 Included in the price: fitness, indoor swimming pool, internet access (Wi-Fi - in rooms on the second floor, congress halls, common areas). Parking - free of charge (garage for an extra charge). Bus 100m. Train (station Bratislava - hlavná stanica) 4km.